2012: 1 race 98,953 metres completed. 2011: 1 race 136,765 metres completed. 2010: 1 race 136,765 metres completed. 2009: 2 races 62,292 metres completed. 2008: 7 races 158,953 metres completed. 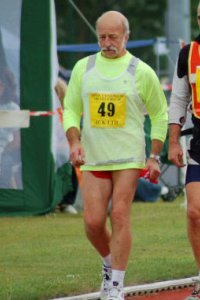 2007: 8 races 181,133 metres completed. 2006: 5 races 290,125 metres completed. 2005: 1 race 136,765 metres completed.